Recent studies conducted from 2000-2006 by BLS (U.S. Bureau of Labor Statistics) found that during this six year period, over 270 individuals died in excavation or trenching incidents. The National Institute for Occupational Safety and Health ("NIOSH") concluded that these studies prove approximately 56 individuals die each year from accidental cave-ins. To prevent fatal accidents you should provide workers with appropriate safety training and strictly enforce safe excavation practices. 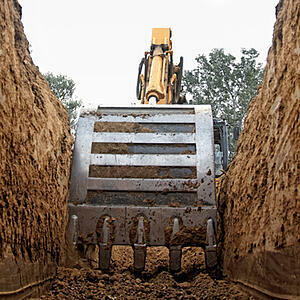 Closely monitor the trench for hazards other than cave-ins such as noxious gases, unstable edges, or rigging hazards.